The Mane Objective: The Max Hydration Method: Is It for You? The Max Hydration Method: Is It for You? 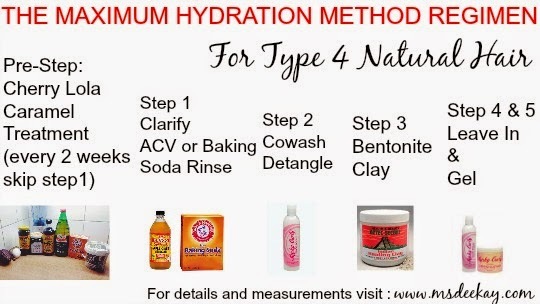 The Max Hydration Method (MHM for short) is, according to maxhydrationmethod.com, "a 5 step regimen that systematically increases moisture levels in the hair until Max Hydration is reached." This method, championed by Black Hair Media Forum VIP Member PinkeCube promises to turn the notion that wash and go's don't work on type 4 hair on its head. In addition to forum posts, and social media accounts dedicated to the Max Hydration Method, PinkeCube has launched a blog where everything about the method can be found -- maxhydrationmethod.com. So what exactly is the Max Hydration Method, how does it work, and are the results for real? Let's explore. 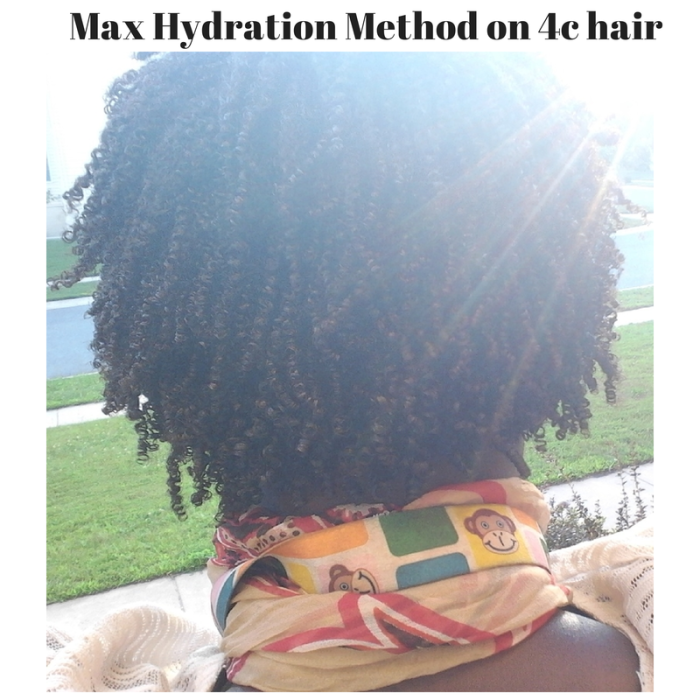 The Max Hydration Method is articulated as being designed for type 4, specifically low porosity 4c natural hair. 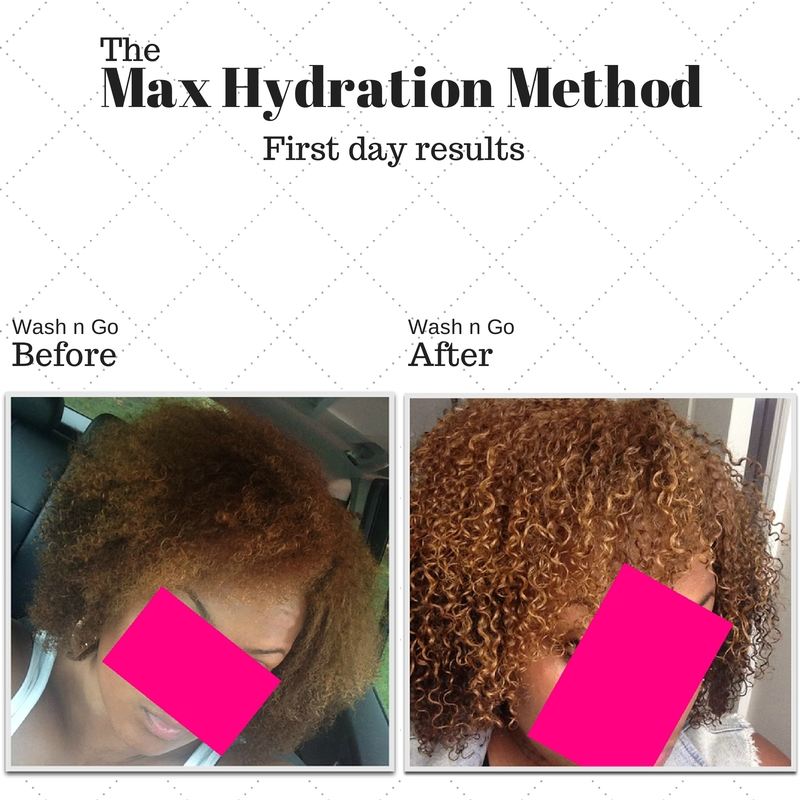 PinkeCube, MissDeeKay, and other proponents state that the Max Hydration Method will transform dry, frizzy, undefined hair into coils and curls that clump -- with or without product. Additionally, they claim that once your hair reaches max hydration, many of the issues that plague type 4 hair (dryness, styling, knots, length retention) will cease to occur. Click here for the Cherry Lola Caramel Treatment, Baking Soda Rinse, and Clay Rinse steps and recipe. Repeat steps 1-4 daily, or every 2-3 days depending upon your hair's needs. After one Cherry Lola Caramel Treatment, the other days call for the baking soda or apple cider vinegar rinse. Users of the Max Hydration Method are encouraged to use only approved/botanical products throughout this process. Although I am still trying to identify a consolidated list of products, the general idea is sticking as closely to the Curly Girl Method as possible (no sulfates, no cones, etc.). 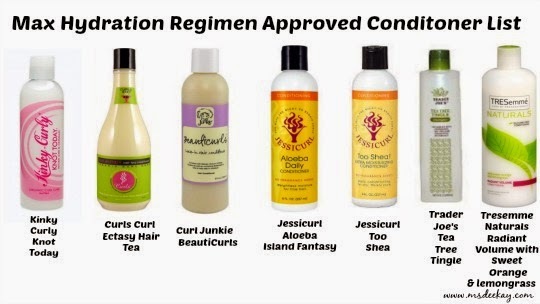 For starters, Miss Dee Kay outlines a list of Max Hydration Method-approved conditioners here. The big question: does the Max Hydration Method actually work? From a personal standpoint, I don't know. There is a strong possibility that I will experiment with it in the coming weeks, to satisfy my own curiosity. However, there are dozens of ladies on maxhydrationmethod.com's testimony page offering visual proof of their success with the method. You can also search Instagram for the hashtag #maxhydrationmethod to find ladies who are actively participating in the Max Hydration Challenge. For an incredibly detailed breakdown of someone who has and continues to use the Max Hydration Method, visit Miss Dee Kay's blog. For a more scientific approach/breakdown, check out this post by Jc of The Natural Haven. From the sampling of devotees to the Max Hydration Method, the results look incredibly promising. One thing to take into consideration is the amount of time, energy, and product the method requires. It is certainly not for the faint of heart. 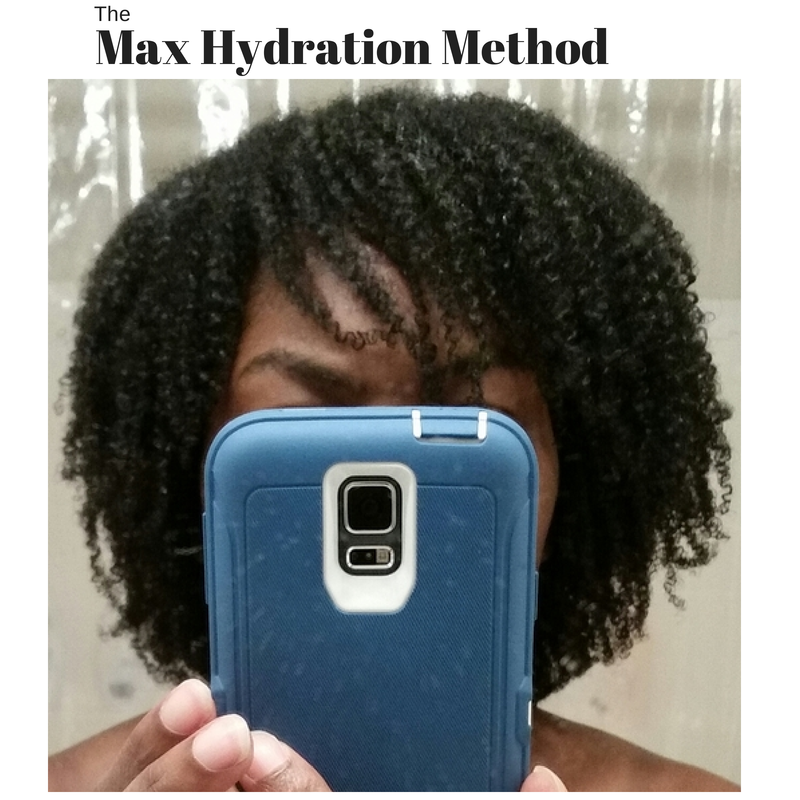 Have any of you tried the Max Hydration Method, or will you be trying it? Share your thoughts and results below! I can't wait to see your results. I'm not 100% natural yet but I'd try it for curiosity's sake. It does seem time consuming to me and I'm not sure my patience would allow me to do it long term. First off I would like to say... who has time for this? Anyone with a job, child, spouse, or even a hobby is likely too busy/preoccupied for all this daily, weekly, monthly! Secondly I would like to say...I will quit work, give up my child, dumps my man, and stop all hobbies if my hair can look this good! In conclusion, beauty requires work! I'm so curious with this method, I think my hair has high porosity and I bleached it for highlights and color. Can I follow this method? What do you think? I dont think this is for me, I RARELY wear my hair out, is usually on a french braid, bun, tuck and roll or goddess braid. If Im not doing any WnG this seems like a waste of time. Nonetheless, for someone who is struggling with dry hair and wears her hair out, it might be worth to at least give it a try. Hello I have a husband, child, job, and dance (artistically) so I know what you mean. I do a similar regime twice a week. What works for me is doing it in steps. I usually do my pre poo (I guess that is what it is called I rarely actually shampoo) portion and let it sit while I cook, or spend time with my hubby or son. I do my wash in the shower or at the sink before my shower and the last portion immediately after getting out the shower. I detangle in my pre poo steps which saves me time after my wash. I get great results like shown in her picture. You just have to find a way to make your regime work for you. Some days I combine my pre poo and deep conditioning step to save time. Sometime I combine my pre poo, oil rinse/hot oil treatment and deep conditioning into one step (it all becomes the pre poo) so as opposed to 5 steps I get the same results in 3 steps and half the time. I've been participating in the max hydration challenge with my sister for about a week and a half now and I can tell you that this method works wonders for my mixed texture hair have from 2b to 4d grades in my hair. I have way less breakage already and I can easily untangle fairy knots and tangles. Its alot of work but I'm sure I can find tune this method for my busy mommy lazy natural life style. So far even though I'm a lazy natural I look forward to seeing the results daily and having me time in the bathroom.